Januvia and Janumet are both Type 2 diabetes medications that belong to a class of drugs called incretin mimetics. In recent years, studies have linked such medications to a number of serious side effects, including pancreatitis and pancreatic cancer. Januvia (sitagliptin) is an oral medication used in conjunction with diet and exercise to control blood glucose levels in people with Type 2 diabetes. Marketed by Merck & Co., the drug was approved by the U.S. Food & Drug Administration (FDA) in 2006. The following year, the company was granted regulatory approval for Janumet, a combination pill that contains both sitagliptin and metformin. Januvia is part of a class of incretin mimetics called DPP-4 inhibitors. DPP-4 is a protein made by the body that plays a role in glucose metabolism. Incretin hormones are produced in the gut, and stimulate certain pancreatic cells to release insulin to metabolize sugar. Incretins also signal the liver to stop making excess sugar. DPP-4 breaks down incretin hormones in order to balance both blood sugar and insulin. However, Type 2 diabetics already have too much sugar in their blood. By inhibiting DPP-4, Januvia and Janumet allow incretins to remain in the blood longer so that the pancreas can continue to produce insulin. Because Janumet is made with metformin, it carries a black-box warning about lactic acidosis, a condition that requires immediate medical attention. Symptoms of lactic acidosis include weakness and nausea. 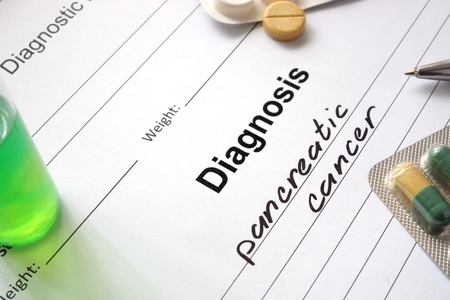 In 2009, the FDA announced that it was revising the labels for Januvia and Janumet, after sitagliptin was linked to 88 post-marketing cases of pancreatitis between October 16, 2006 and February 9, 2009. Hospitalization was reported in 58 of the patients, 4 of whom were admitted to the intensive care unit (ICU). Two cases of hemorrhagic or necrotizing pancreatitis were also identified, both of which required an extended stay in the ICU.